YOUTH membership for those aged under 18 or anyone aged under 25 in full-time education. A joining fee of €30.00* for SINGLE and €45.00* for JOINT and FAMILY membership is levied. Membership subscription costs €50.00* per person per annum and is renewable on 1st July each year. The family subscription fee is €50.00* per adult and 10.00* per child. Student membership costs €10.00* per annum and there is no joining fee. * These figures are subject to change. 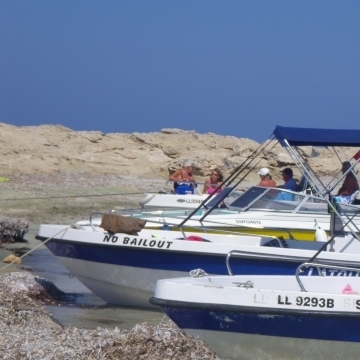 In addition, we offer temporary (4 weeks) membership to visitors to Cyprus for a one-off fee of €10.00. Temporary membership may be applied for only three times in any calendar year. Temporary membership allows visitors access to the clubhouse facilities and social events. 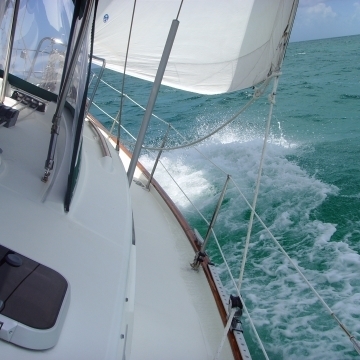 Temporary members may be invited to crew for full members in their private or club boats, as circumstances permit. 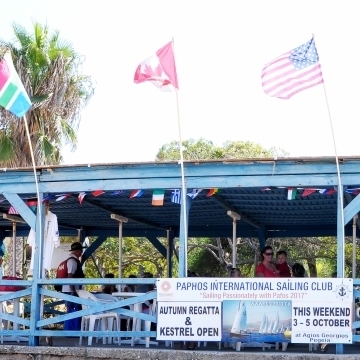 Due to the unique sailing conditions at Agios Georgios, helming of boats by temporary members may be possible only in special circumstances. Please note: We do not hire out boats to visitors or temporary members. Those wishing to apply for temporary membership should contact any Committee member who will be happy to attend to your request. Please complete application forms and forward to the Membership Secretary.